Brain Connectivity Methods is a highly interactive workshop designed for investigators having familiarity with the basic principles of fMRI data acquisition, statistical analysis using the general linear model, and some practical experience using SPM for fMRI analysis.It will be held AUG 14-17,2017 at Columbia University in NYC and will include two subsequent online interactive sessions. The course will feature presentations from experts in the use of SPM12 and CONN: The Connectivity Toolbox. It will provide an introduction to functional brain connectivity analysis using SPM12 and CONN along with practical demonstrations and exercises tied to the key conceptual issues. Topics covered will include functional brain connectivity examined using bivariate correlation or regression, independent component analysis, and graph theory. 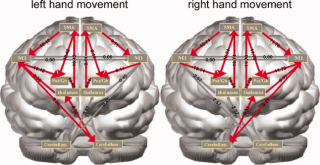 The principal focus of the course is mastery of the essential skills needed for using functional connectivity analysis techniques to analyze resting state fMRI data. Participant Preparation: The workshop will involve demonstrations and interactive exercises involving SPM12 and CONN, their extensions and associated programs. These demonstrations will be integrated with the didactic portions of the lectures. The interactive software exercises will demonstrate the details of the various data modeling techniques. Participants will gain practical experience through the worked examples based on resting state data provided at the course. Therefore, to gain the full benefit from the program, we ask that participants bring laptops with SPM12 and CONN installed. Detailed setup instructions can be found here. As mastery of the topics presented early in the week is needed to maximally benefit from the material presented later in the week, we encourage all participants to arrange their schedules to make it possible to attend all the classes. Approximately one month after the course we will arrange two on-line review sessions so that participants will be able to ask questions that may arise as they gain experience with the software. This class will be limited to 20 participants. Payment of the registration fee ($1500-regular, $1250-fellow, and $1000-student) may be made with PAYPAL here. The course is sponsored by the Spirituality and Psychology Laboratory of Columbia University and will be held at August 14-17, 2017 at Columbia University Medical Center in New York, NY.